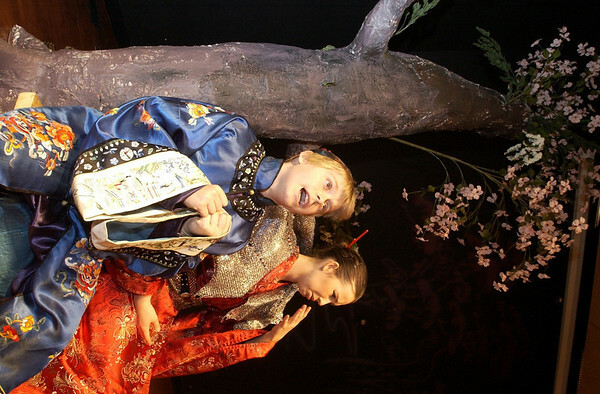 Ko-Ko, Hunter Bartlett, sings to Katisha, Marian Tack, in the Woodland School's production of "The Mikado." The school's spring musical will be held 7 p.m. Thursday; 9:30 a.m., 12:30 p.m. and 7 p.m. Friday in the school auditorium, 7224 Supply Road, Traverse City. Admission is $4; tickets sold at the door. For more information, call Woodland School at 947-7474.